While Austin, Texas is regarded as the “live music capital of the world,” getting your foot in the door as a musician can prove challenging. And once you manage to get your foot in the door as an artist, pushing your leg through is even more difficult. Austin can be an overwhelming city for anyone looking to get involved in the music industry — where to start? 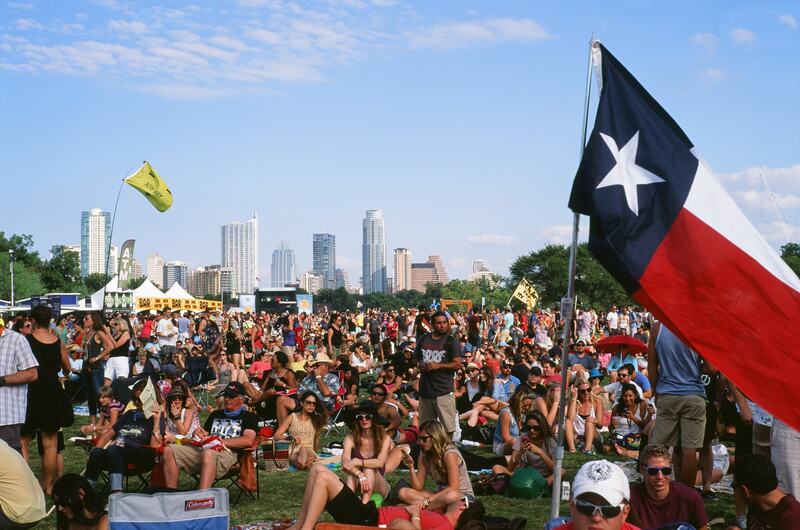 If you are gearing up to move to the vibrant capital of Texas, or just looking to get your music career started there, Wysidio has carefully created this guide to some great resources for Austin musicians. One of the most pressing and obvious problems in the Austin music scene is finding some form of sustainability for your talent. While recognition starts with dexterity and skill, it also requires financial aid. That’s why Black Fret dedicates its ventures to raising money for undiscovered artists and put them on stage. This grassroots organization starts with consumers. Austin music fans can obtain a membership with Black Fret by donating $1,500 annually to the organization. From there, Black Fret uses these cumulative donations to grant funding to various artists to support their journey in the musical arts. Artists can receive anything from $5,000 to a healthy $20,000. Black Fret encourages artists to use these grants for touring, recording and new instruments. In addition, they offer mentoring opportunities for new artists and put them on stages throughout the city to further expand their fan base. In March 2017 alone, Black Fret granted $500,000 to 300 Austin based musicians. Learn more and apply for a grant on Black Fret’s website. Founded by St. Edward’s alumni Nathalie Phan and Alex Duck, On Vinyl Music serves as a local medium for your music to get played on. On Vinyl curates playlists featuring various genres and vibes through their app. Imagine Spotify, but composed primarily of Austin-based musicians. Instead of offering the streaming application to consumers, they sell the service to local retailers. This way, when you walk into your favorite local coffee shop, bar or clothing outlet, you can hear local music instead of mainstream hits. All you have to do is sign a non-exclusive licensing contract, which simply grants them permission to use your recorded music in local businesses. From there, your music will be streamed across the city and you’ll receive royalties each time your music is played. The music industry can be an overwhelming place, especially for professionals who are just getting started. Most on-the-rise artists have multiple jobs or are studying. According to the most recent Austin Music Census conducted in 2015, 50 percent of Austin musicians with a secondary source of income take home less than $25,000 annually and almost 70 percent of total musicians make less than $10,000 a year. These statistics are real, and can be discouraging to starving artists. Maintaining a positive outlook under these circumstances can be exhausting and can weigh heavy on an artist’s mental health. The SIMS Foundation recognizes these trials and has created a safe haven for musicians who struggle with their mental health. The SIMS Foundation offers mental health services at low rates for music industry professionals to keep you in tune with an enthusiastic life outlook. The SIMS Foundation offers the following services: “Counseling sessions for individuals, couples, families, and entire bands, psychiatric services include psychiatric evaluation and medication management, and addiction Recovery options include medical detoxification, intensive inpatient treatment, and continued care at a sober living facility.” You don’t have to be a victim to the struggles that accompany your artistic journey. While The SIMS Foundation provides mental health services for music industry professionals, HAAM offers healthcare insurance at low rates for Austin Musicians. HAAM understands that being a musician in one of the most musically busy cities in the world results in being strapped for cash. Being strapped for cash also means that acquiring affordable healthcare and quality health insurance is really, really hard. In the words of the HAAM website, “If you are a working musician in the Austin-area, you may be eligible for low-cost primary health care, basic dental care, mental health, hearing and vision health services through HAAM, Health Alliance for Austin Musicians.” The SIMS Foundation and HAAM go hand and hand in ensuring that Austin musicians are healthy and happy. One of the most important strategies to reaching success in the music industry is building a network. Sometimes the networking shmoozing can a bit facetious, and industry professionals put on airs to appear more connected than they really are. But there is a place in Austin that is run by musicians, consumers, and behind-the-scenes visionaries who care about preserving and creating music, simply. The Red River District consists of venues like Stubb’s BBQ, Empire Control Room & Garage, Mohawk, Cheer Up Charlies and many more. Every day of the week this faction of Austin radiates positivity and sustainability for local and global talent. Here, you can meet artists like yourself or talent buyers at Austin’s best venues. The Red River District is a place to cut loose, listen to music and engage with music lovers like yourself- perfect for building a genuine network. Of course, Wysidio is always here to help you jumpstart your career. Whether you need a professionally designed logo, website, artist press kit, bio, or just need someone to talk to about managing your brand or finances, contact us below for your career needs!